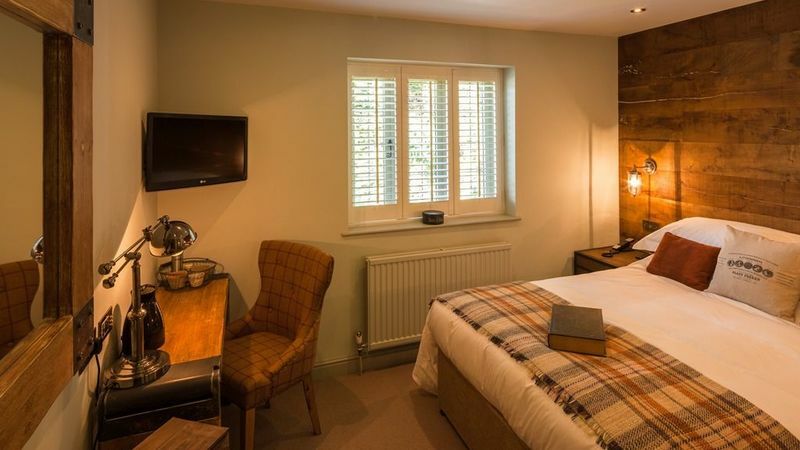 The Boot room is situated at the front of the Inn’s original building on the ground floor and benefits from a large window overlooking the village of Asthall. 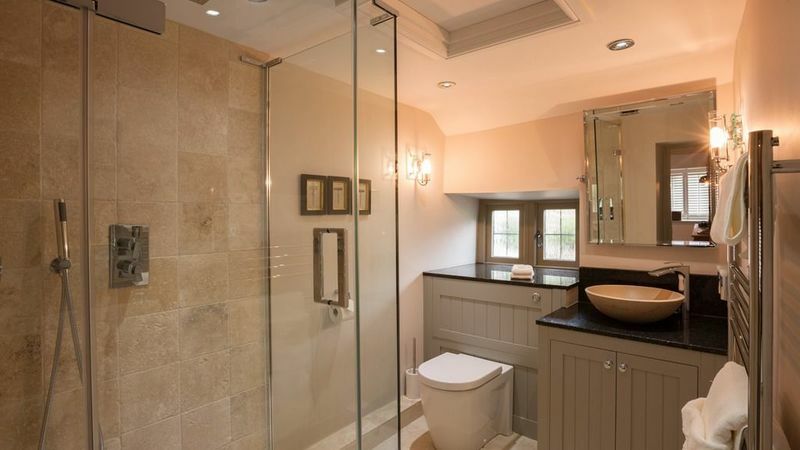 With low ceilings and thick Cotswold stone walls, this room is packed full of character. 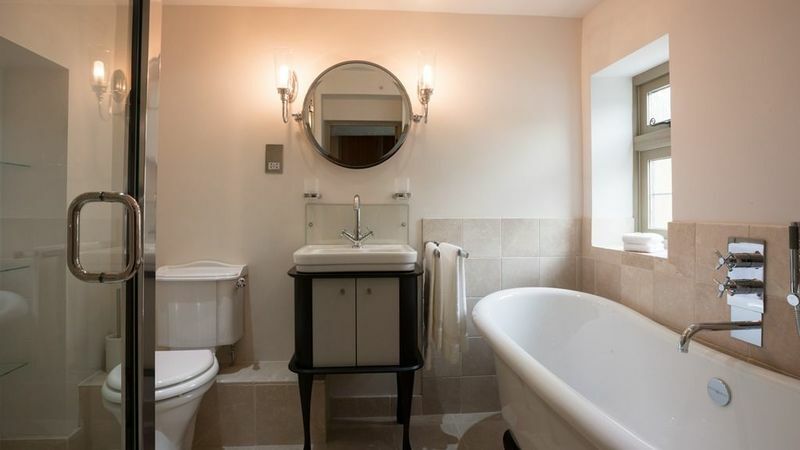 The bedroom has a super-king bed and the bathroom has a large, low shower. This bedroom does not have a wardrobe but does have hanging space for all guests storage needs. Please note: We do not accept dogs staying in any of our rooms. 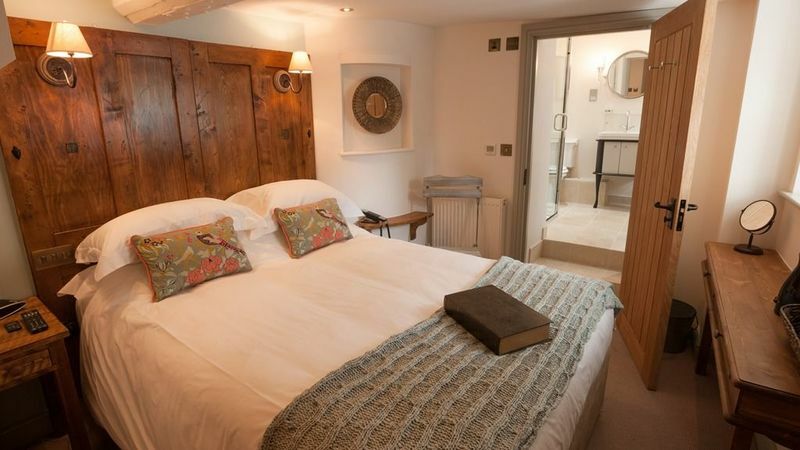 Situated in the courtyard, the Farriers Room boasts a super-king sized bed as well as a special rainfall shower. 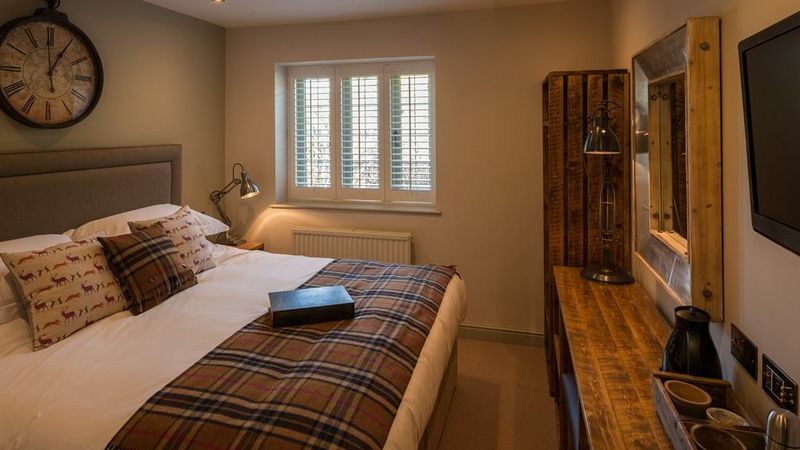 Decorated with bespoke rustic pallet desk and wardrobe, with views over the garden, this room makes the perfect base for exploring the surrounding countryside. Please note: We do not accept dogs staying in any of our rooms. Set in the stunning courtyard of the inn, the Hunting Room is one of our largest. 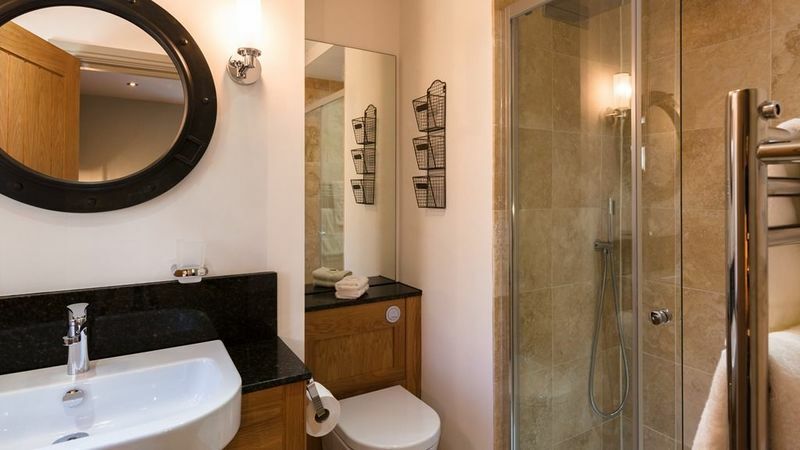 With the choice of either super-king or twin beds, a stand-alone bath and a sizable waterfall shower, it’s a perfect choice for an indulgent break away. This room does not have a wardrobe but does have hanging space for all guests storage needs. Please note: We do not accept dogs staying in any of our rooms. 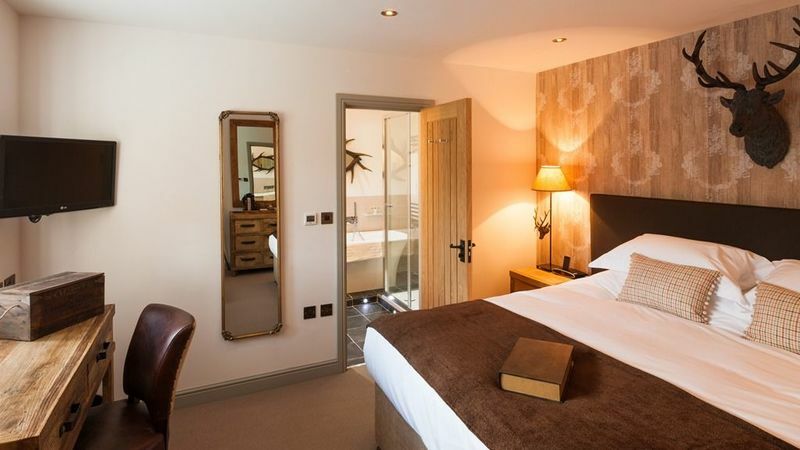 Located in the inn’s courtyard, the Saddlers Room benefits from the choice of super-king or twin beds. 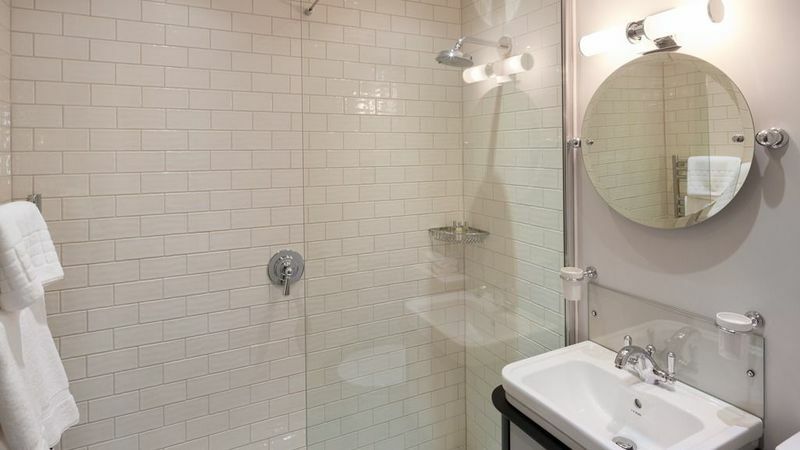 There is a large walk-in shower, whimsical touches including an antique campaign wardrobe, desk and textured feature wall. 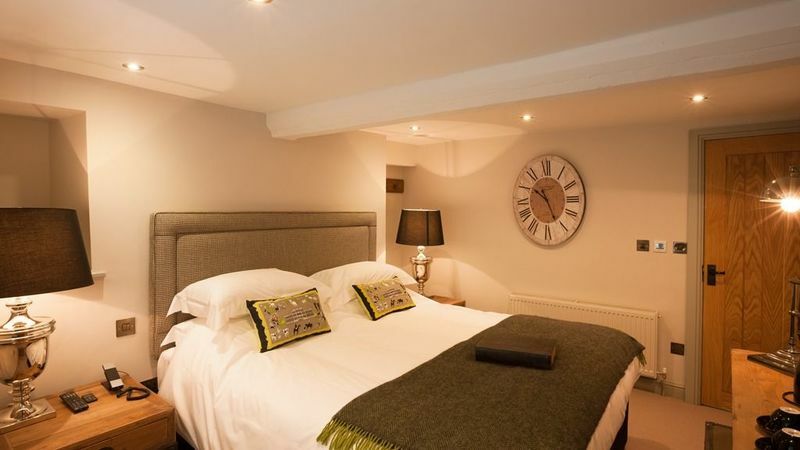 The Saddlers Room is perfect for guests who love something a little different. Please note: We do not accept dogs staying in any of our rooms. 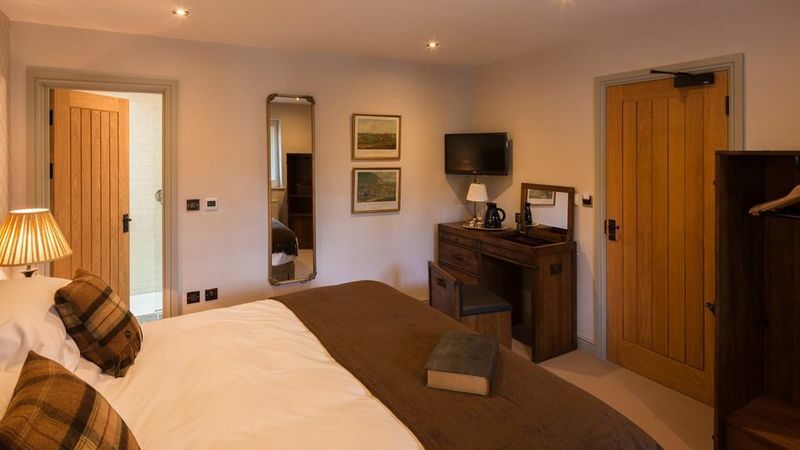 Located at the back of our courtyard with views over the garden and surrounding countryside, the Tack Room enjoys a king sized bed, stylish furniture and a waterfall shower. 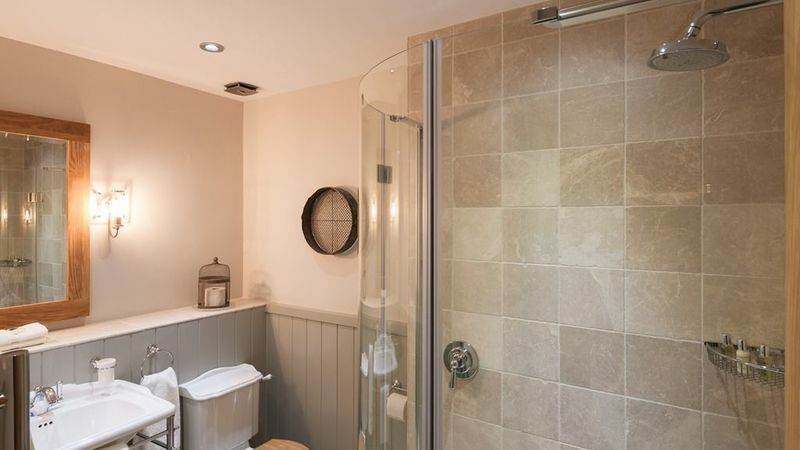 With a stunning wooden feature wall, the Tack Room is a guest favourite. This room does not have a wardrobe but does have hanging space for all guests storage needs. Please note: We do not accept dogs staying in any of our rooms. The Yard and Groom room is our cosiest room and is situated in the original building on the ground floor at the front of the Inn. 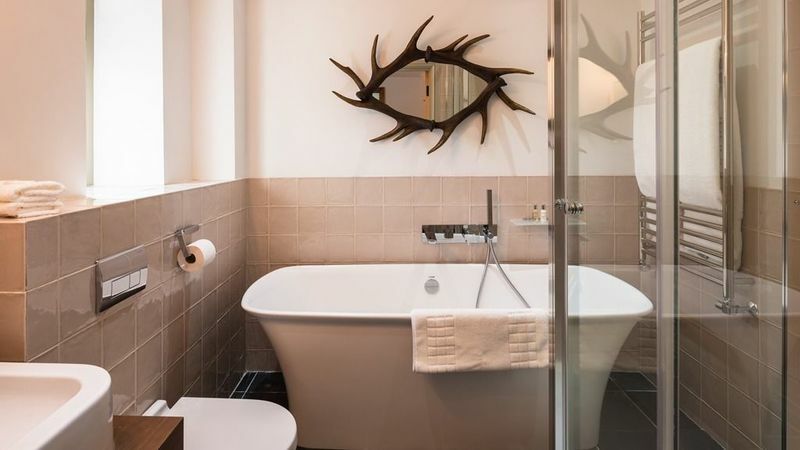 Benefiting from a roll-top bath and separate shower, a king sized bed and wardrobe with its low ceilings, beams and curved walls it is a perfect choice for those looking for some Cotswolds charm. Please note: We do not accept dogs staying in any of our rooms. Earliest check in is 3.00pm. Latest check in is 3.00pm. We kindly ask that you check out by 11.00am.